In this project, we will explore the ways in which playing and making computer games to underpin interesting approaches to learning. This isn’t really a project just about coding though; it’s equally about creating stories, script-writing, making artwork and music. We want to explore how to use young people’s excitement and interest around games to stimulate and other productive activity. We will also explore the ways in which retro video games can be rebooted as ‘serious games’ without losing the spark that made them fun in the first place. Students involved in the project will be introduced to a range of platforms which can be easily used to construct simple games. You will be invited to develop interesting ways to put these platforms to work – either through the production of an educational game, or by creating activities and workshops which invite learners to construct games. We will seek to pilot a series of workshops and activities. These will target 8-13 year-olds, but we are also interested in engaging whole families around the activities we produce. 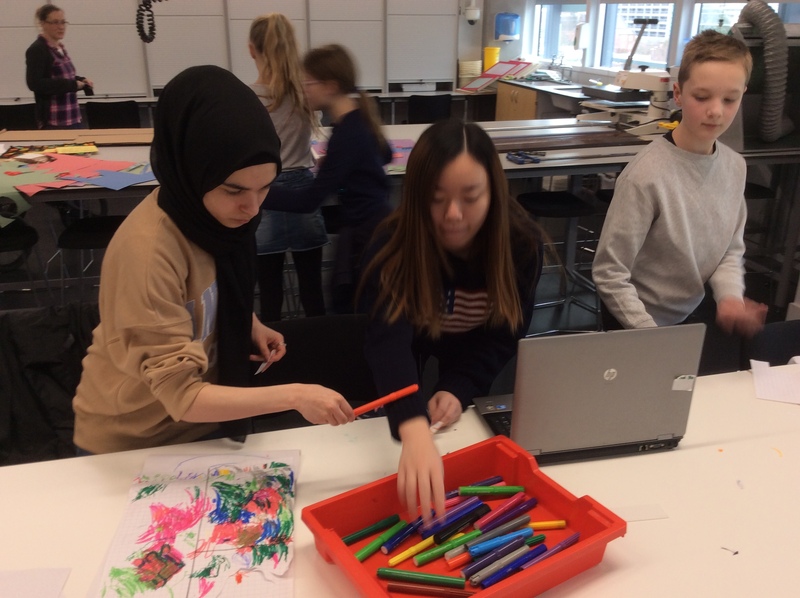 In engaging with this project, you will explore the dynamics which make games compelling and compulsive, and the ways in which these might influence education in motivating ways. You will also explore how suiting learners as collaborative creators might enable more inclusive and exciting directions in learning. Further, you will explore the value of Family Learning, a concept which is popular in museums and libraries and the subject of ongoing government-funded research which is addressing questions of how best to foster an intergenerational learning environment. This post is a final reflective piece pulling together your thoughts on the project process and outcomes. It is intended as to support students in thinking about their own learning and evaluating their contributions. I have divided this post into several categories. As you start to address what is needed in this project you can draw on these reports on computing and schools in a UK context. The key moment of sucess so far has been the way we came together to adapt our plan on the day of the half term workshop. I’m sure each of you have reflections about the good parts of this intervention. Rukia and I made some notes on a debrief of this session which are here, and George’s blog post is here. 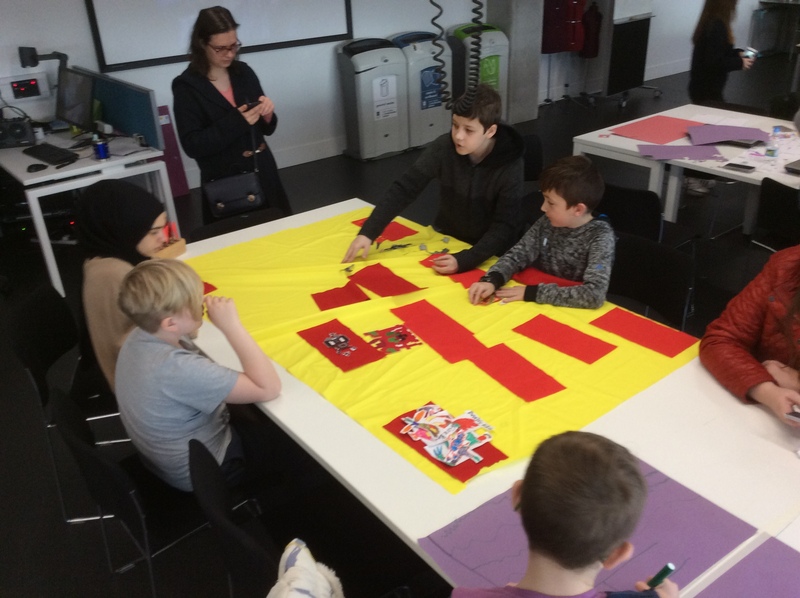 Using activities around Game Making has a lot of potential to encourage interesting collaboration between young people and parents. How does this kind of learning differ from a traditional instruction based approach to learning a skill? How much should we step in and get involved in steering group work once it is set up and how much should we step back and trust the motivating nature of the activities? How can we best use materials to support our aims? 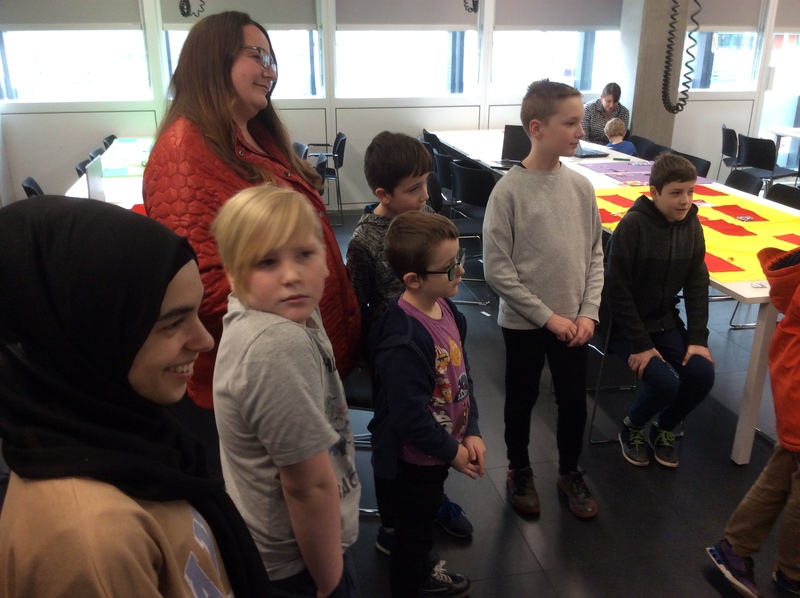 In creating the rules of a game and discussing how the parts interact, young people and parents are learning useful skills about systems thinking and the mechanics of game making. How can this be best supported by our interventions? How can we get parents more involved? What is the best way to do this? When are parents a barrier to the process of young people and when are they are advantage? What other parallel activities would help build a family cuture of learning around making games? 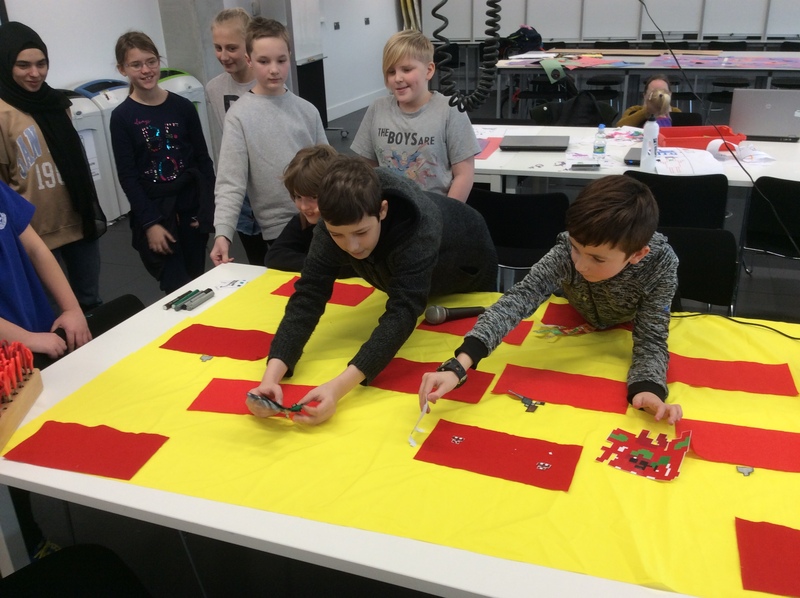 The theory around Game mechanics and how best to create learning environments to support “21st Century” skills is explored in the work of Katie Salen and Robert Torres, in particular in this report on Quest to Learn programme. The attraction for educators to use the playing and making video games is linked to the on going popularity as a family activity. There is some interesting reading about this in the areas of Intergernerational or Family Learning here, here and here. It feels to me that we have just stratched the surface with our approach to this area. I would welcome more explorations in designs and activites to be planned by EdLab students. I want to invite you to contribute to a teaching resource for game making that I am working on here. Depending on your level of involvement in the project so far, you may need to do this project to cover your required hours of project work and to give you the opportunity to apply the ideas behind this project to practice, or you may use this to deepen your understanding to build on your previous work. In either case here is the challenge. Create one or more 15-45 minute activity which supports the kind of work we have been doing. This should be based on your own hunches of what feels right and inspired by the readings you have been undertaken. You should make some activity resources and write a plan that will allow a non-expert to deliver your session. You could imagine a volunteer in a code club, after school setting, or a parent at home as the person you are writing it for. Share these resources and your plan in a blog post which can be linked to from the teaching resource for game making. This can be as images, word documents, powerpoint presentations or just as part of the blog post itself. Get this to me as soon as you can and I will give you feedback on it and give you additional links to related theory which you can include in your EdLab work. I really like the way you have been able to integrate the artefacts generated into your reflection. Also I think it would be a great next step to build your game in scratch as a way of getting into the mindset of teachers and students undertaking this kind of activity. 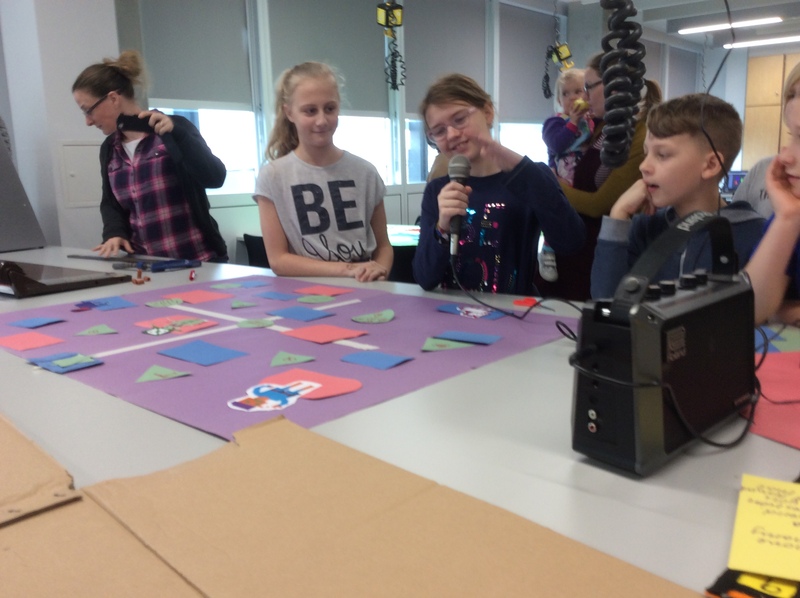 I attended Mick’s Game Making club on a Thursday to observe how game related activities might work for our own project. There were around 10 students, and the morning began by asking them to have a play at a game called ‘Flicky’. This is a 2-d platform game found on internet arcade. It involves moving a bird called Flicky around the screen to collect chicks and place them in a door, whilst avoiding touching the cat. 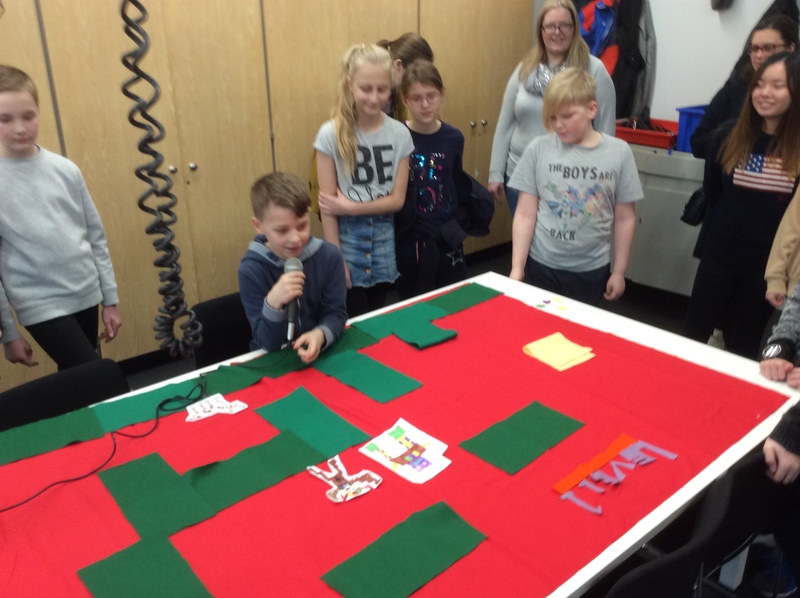 The kids began by clicking the buttons to see what the controls for the game were, and as it became apparent what they needed to press, they took down high scores and took turns playing. I think the thing that really stands out here is the way that you were able to be responsive to the needs of the groups and move them towards developing story lines. This fits well with the theory from Gee and others about the possibilities for games to encourage literacy. A fruitful area to explore would be follow up activities which are more explicitly about writing but which aim to retain the enthusiasm gathered here. We held the first workshop on Wednesday the 21st of February, and I would definitely call it a success! 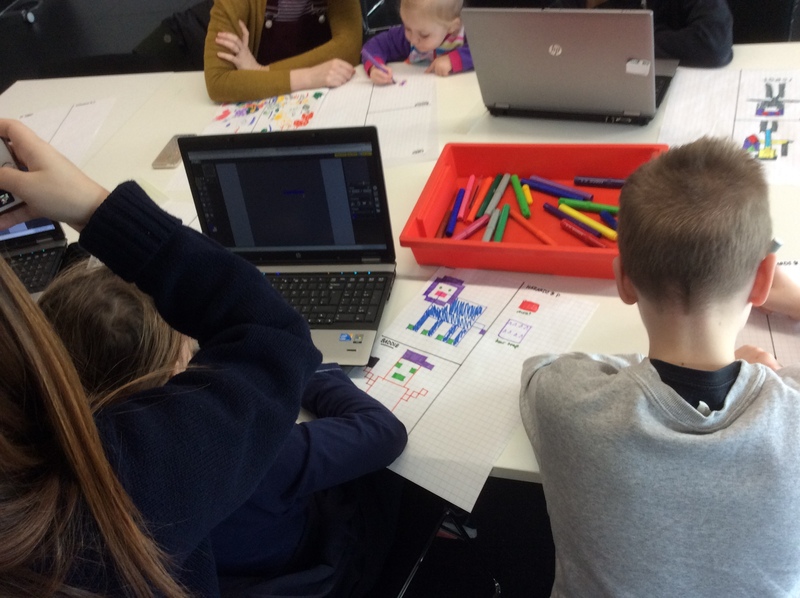 During the week beginning 19th February, we hosted a workshop aimed at introducing young people and families to a game making club. 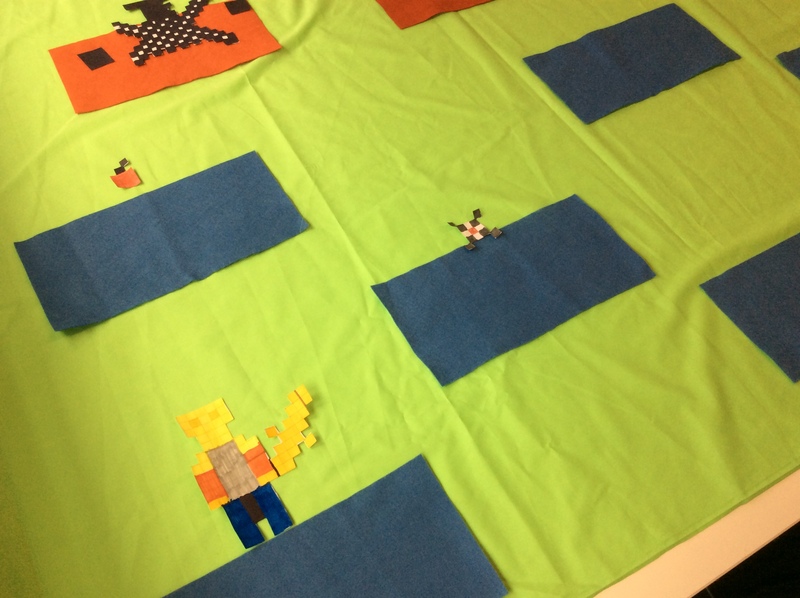 This one off session explored the use of textiles as a playground for pixel art characters that the participants created. Thanks for writing this up Rukia.